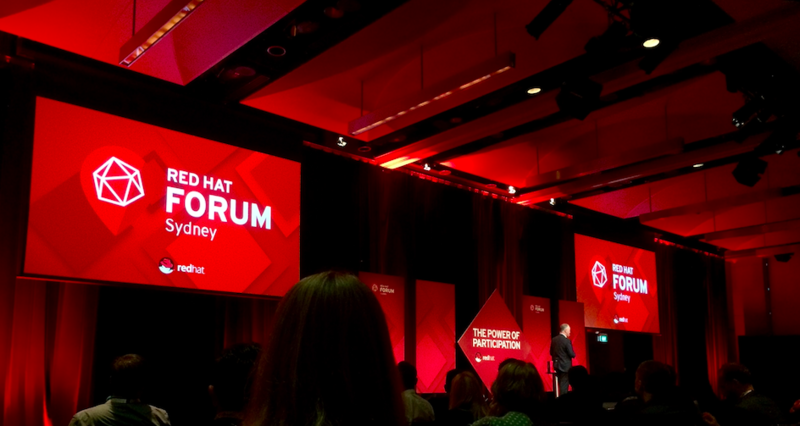 On Thursday 3rd November, Avocado was a Gold Sponsor of the inaugural Red Hat Forum in Sydney hosted at the Hilton hotel. 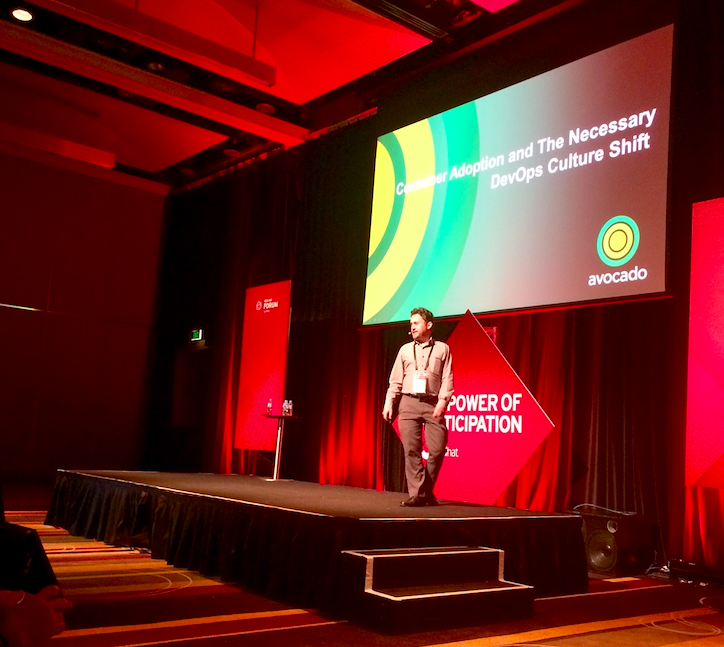 As a Red Hat partner, Avocado has a depth of experience with Red Hat engineers and more recently with Ansible. We have used our Ansible skills to build and implement not only customer solutions but for rapid provisioning of our own intellectual property and service offerings. The event theme of “The Power of Participation” was a powerful reminder of how Red Hat was an original disruptor, taking innovative Open Source solutions and making them enterprise-grade. It’s clear for all to see that with the amount of innovation now coming out of Open Source, an ‘Open-source first’ policy is something every organisation can benefit from in a world of increasing competition. The increased competition is not what it was traditionally – anyone with an idea now has the global reach which could very quickly bring new products and services to market. It is becoming clear that as more organisations move workloads to the Public Cloud, Hybrid Cloud will become the mainstay. At the forum, there was a lot of discussions and presentations around containers and Red Hat’s Open Hybrid Cloud strategy and products such as OpenShift. I have been working with a number of customers whose concerns are around public cloud vendor-lock. OpenShift is a well suited platform to unleash and empower developers to innovate and experiment. It provides an environment for containerised applications which can easily be ported from development through to any cloud environment. Today this is far from the reality. Most organisations still struggle with DevOps and conduct Agile in Waterfall silos, let alone figuring out where containers fit. My colleague, Romain Bigeard gave the audience a real world example of a production-based container implementation that he helped build with one of Australia’s Telcos. He talked about the architecture and the lessons learnt. These skills and experience are still emerging and as his poll of the audience showed, only about ten percent actually did containers in production today. Not every organisation is a Facebook or Amazon but any organisation can aspire to be. With Facebook making 16,000 commits to production a month and Amazon Web Services pushing 11.6 commits per second, we see a vision of why the organisations that rule the technology space got to where they are today. Avocado is passionate about Open Source and the value Red Hat can bring to your enterprise to get the tools of innovation into your developer’s hands fast. Email hello@avocado.com.au to find out about our complimentary two hour consultation to see how you can improve your business.